Many children (with or without special needs) love looking at storybooks and sharing special reading time with a parent, educator, or caregiver. 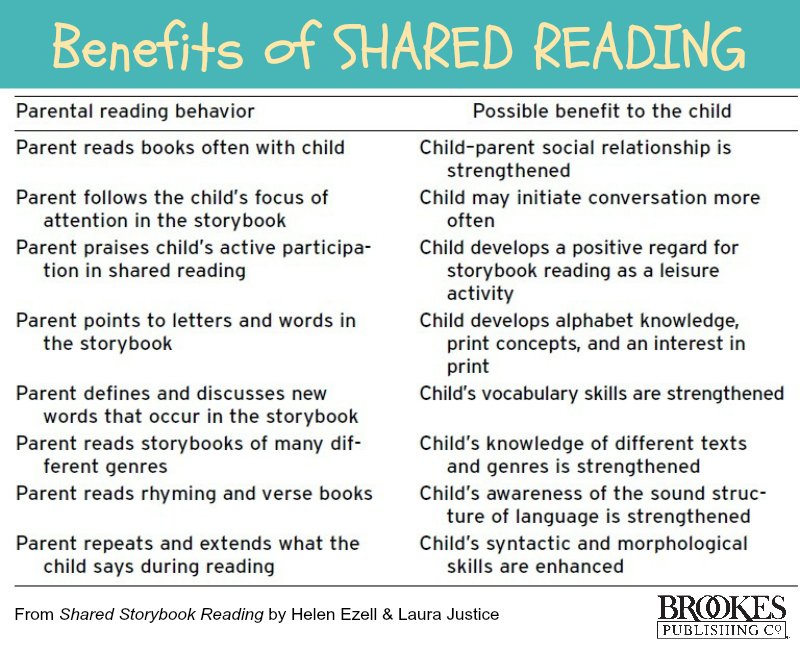 But for some kids, shared reading isn’t high on their list of preferred activities–which means they may miss out on the many literacy- and language-enriching benefits of shared storybook reading. Attending. To make the most of shared reading and absorb new information from a book, kids need to be able to sustain attention for several minutes at a time. Conversational turn-taking. To initiate a question about the story or respond to a question from the book reader, kids need to know how to take turns with a conversational partner. Do an informal assessment of the child’s current attending behavior. 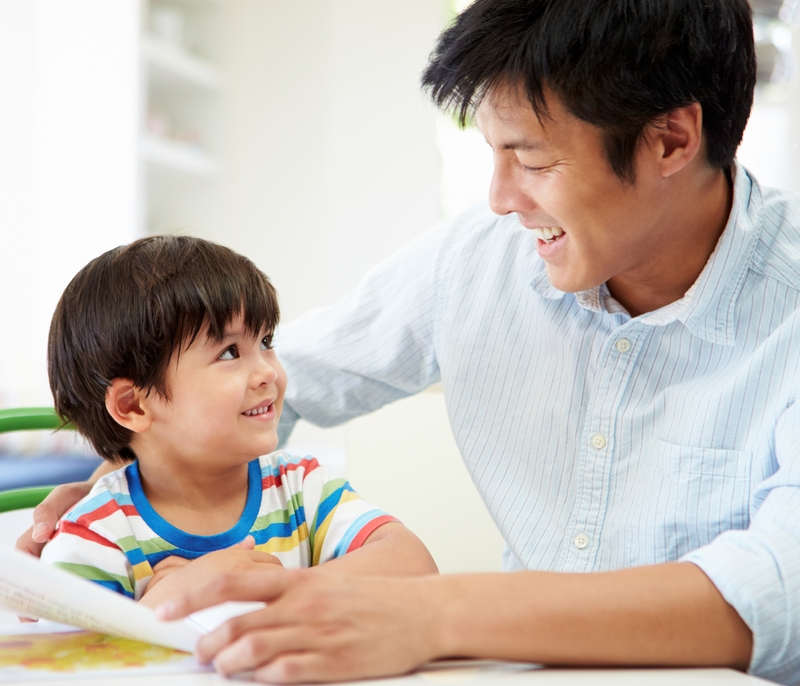 Conduct two separate shared-reading sessions, and observe how long the child can sustain attention. Set a short-term goal. This can be measured in a few different ways: length of time (“Julie will attend to the story for 5 minutes”) or number of pages read (“Javier will attend through six pages of the book”). Pick a good book: attractively illustrated, with a limited amount of print, on a topic that might be of special interest to the child. Read the story with enthusiasm and expression. Point out interesting features of the pictures as you go along. Give the child a specific job to do while you read: turning the pages, lifting flaps to uncover more pictures or words. Pause so the child can look at the pictures and comment on what she sees. Keep a record. For each session, write down the child’s attending time (measured in minutes or number of pages) and keep track of progress. Set a new goal. Add minutes or pages to the desired goal. Keep going until the child is able to attend to the reading of one brief storybook. Conduct an informal assessment of the child’s current turn-taking skills. Do a sample shared-reading session and work in five conversational turn-taking opportunities as you read. Note any turns that the child takes, and how the child communicates. Follow the five/ten guideline. During shared reading sessions, offer at least five opportunities for the child to take a conversational turn by making a comment or asking a question. Wait at least ten seconds each time for the child to respond. Provide prompts. If the child doesn’t respond after 10 seconds, offer some verbal or nonverbal assistance. If you’re targeting vocal or verbal turn-taking, say the right answer (for example, “choo choo” for a vocal response, “train” for a verbal response) and ask the child to try repeating it. If you’re focusing on nonverbal turn-taking, offer some gentle physical guidance (for example, guiding the child’s finger to point to the train picture). Offer praise when the child responds in any way. The response doesn’t have to be “perfect”–any response counts as a completed conversational turn. Keep a record. Write down the number and types of turns the child takes during each shared reading session. Note whether assistance was needed. Set long-term goals. When you reach your short-term goal, set the bar higher. Your long-term goal may be consistent, independent responding to all turn-taking opportunities using the type of communication that works best for the child (nonverbal, vocal, or verbal). Questions for you: What are your favorite books to read with the children in your program? 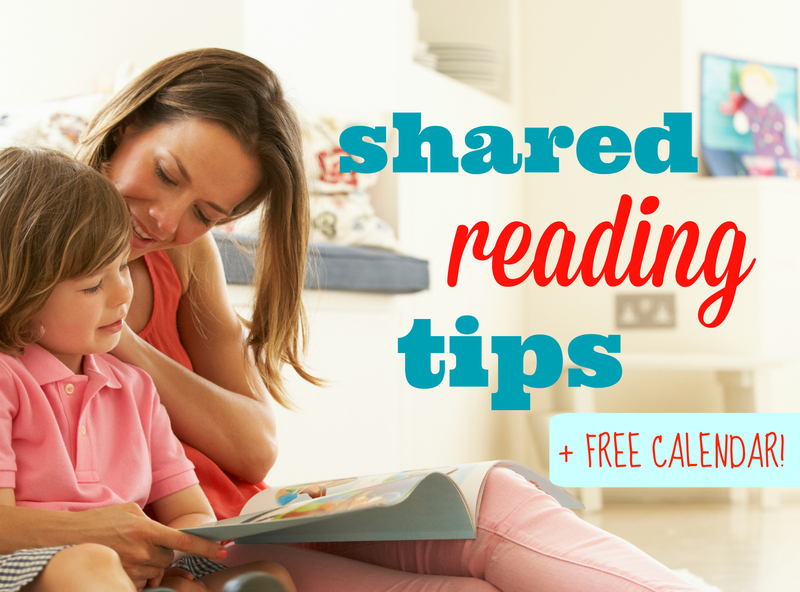 What tips would you give a parent who wants to make storytime more engaging at home? 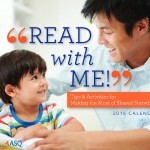 Educators–this calendar is a great resource to share with the families in your program, since a lot of the tips address parents directly and remind them of their critical role in nurturing children’s early literacy skills. Print yours and share it around for a fun and friendly all-year reminder of the importance of shared storytimes!